Remembrance Day has a special significance in 2018. Sunday 11 November marks the 100th anniversary of the Armistice which ended the First World War (1914–18), signed 11am on 11 November 1918. One hundred years on we remember those who have given their lives in conflict before and since, by taking a minute to stop, be silent and remember the war that was to end all wars. We also take this opportunity to reflect on the Australian Light Horse Field Ambulance, one of the many stories of courage. 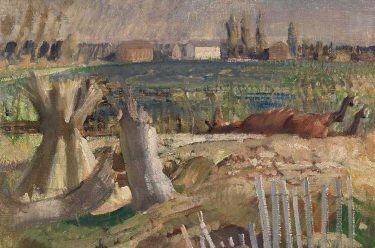 During the First World War, George Lambert (1873-1930) served Australia as an Official War Artist attached to the ANZAC Mounted Division. 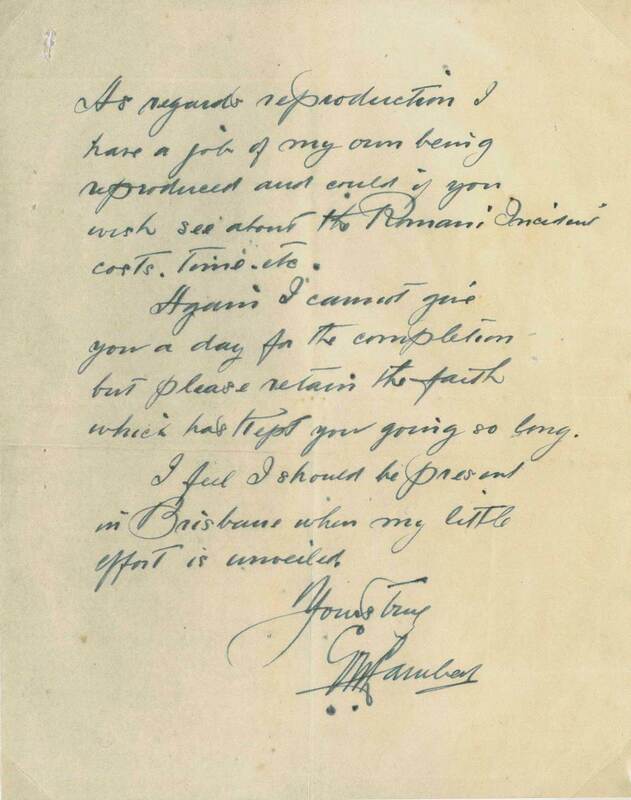 He spent two terms in service, the first with the Light Horse in Palestine, and the second in Gallipoli and Egypt. 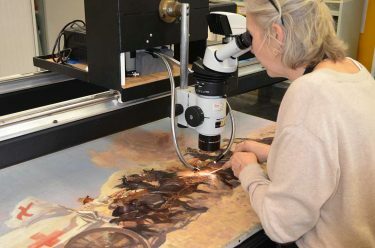 As a result of this service Lambert was offered a variety of commissions to paint scenes from significant war time events after his war contract had officially ended in 1920. 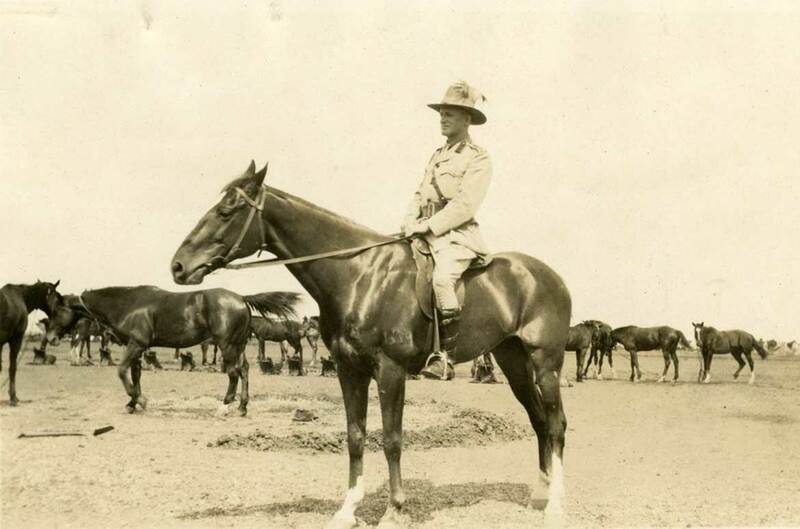 The Australian Light Horse units were mounted infantry with efficient mobile medical support. The Light Horse Field Ambulance ensured the removal of the wounded from the front line to the advanced dressing station where there were surgical and resting tents. The sand carts had two wheels with tyres that were wide enough to stop the cart digging into soft sand, and could carry two or three stretchers. In heavy sand four horses were necessary to pull the cart, and the cart had to be steered by a rider on one of the lead horses. 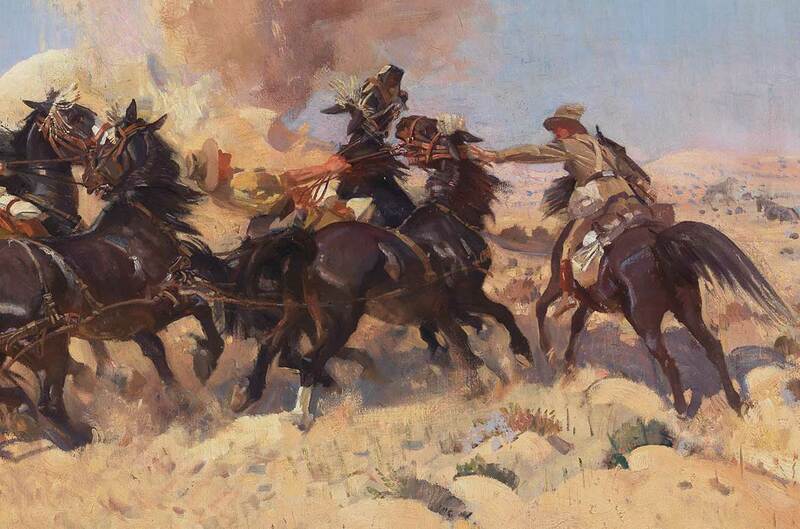 When it was decided in 1919 to give George Lambert the commission to paint this incident, the actual event was already three years in the past. 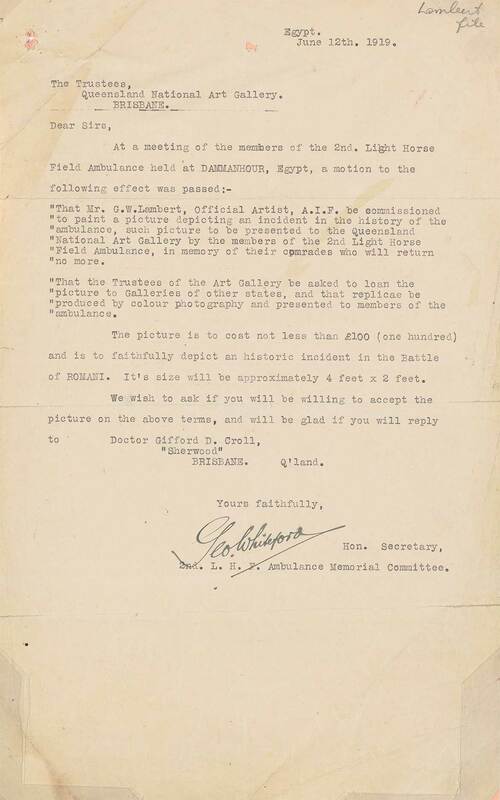 To enable Lambert to make sketches of the event, it was re-enacted at Kantara, Egypt in 1919. 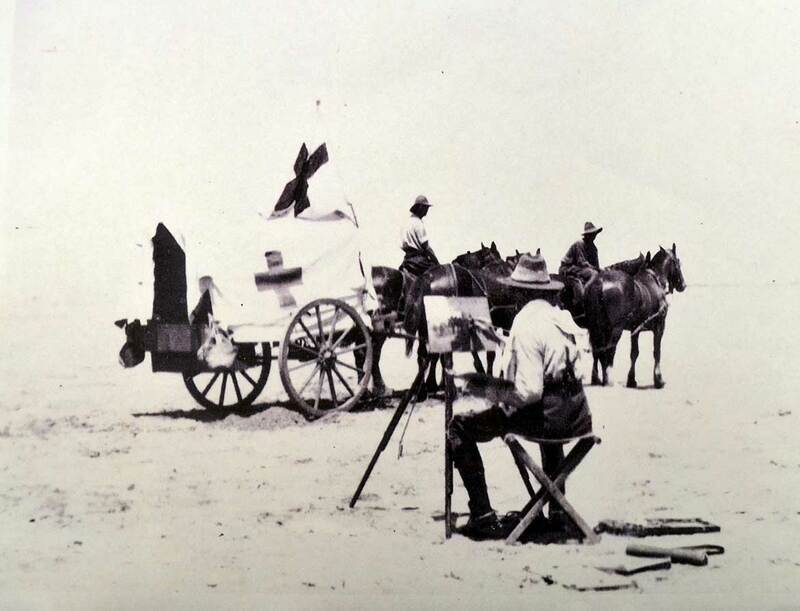 Photographs were taken of Lambert at work sketching this re-enactment. 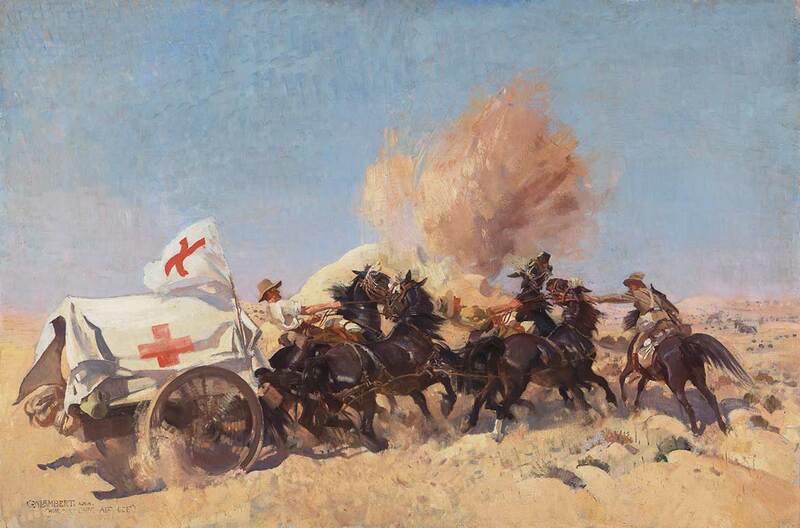 The completed painting portrays the moment when the corporal signals ‘Walk’ whilst rushing to the front of the group to steady the bolting teams. 1 Gray, Anne. ‘George Lambert 1873-1930 Catalogue Raisonne’. Bonamy Press, Canberra, 1996, p.112. 2 Lambert, George. 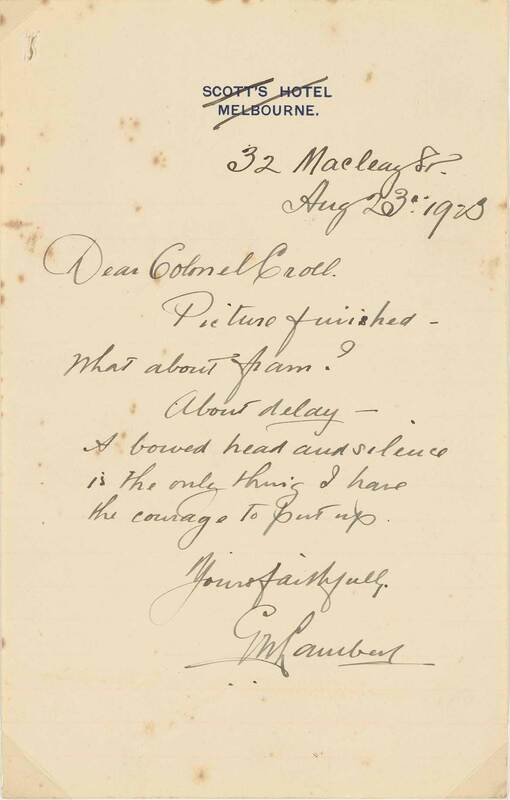 Letter to Amy Lambert, 18 June 1919, Mitchell Library, Sydney [ML MS 97/4, item 1, 165]. 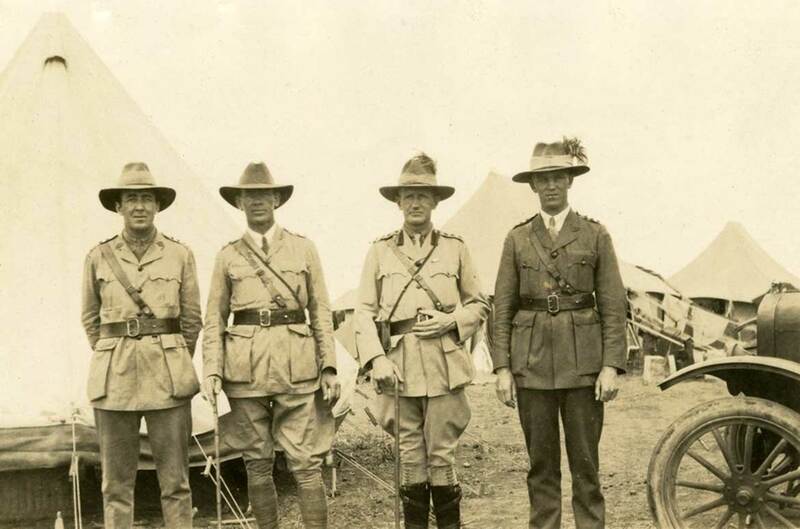 Colonel David Gifford Croll, CBE, was an eminent Queensland doctor who served in both World Wars, and is remembered for his service in the Middle East. 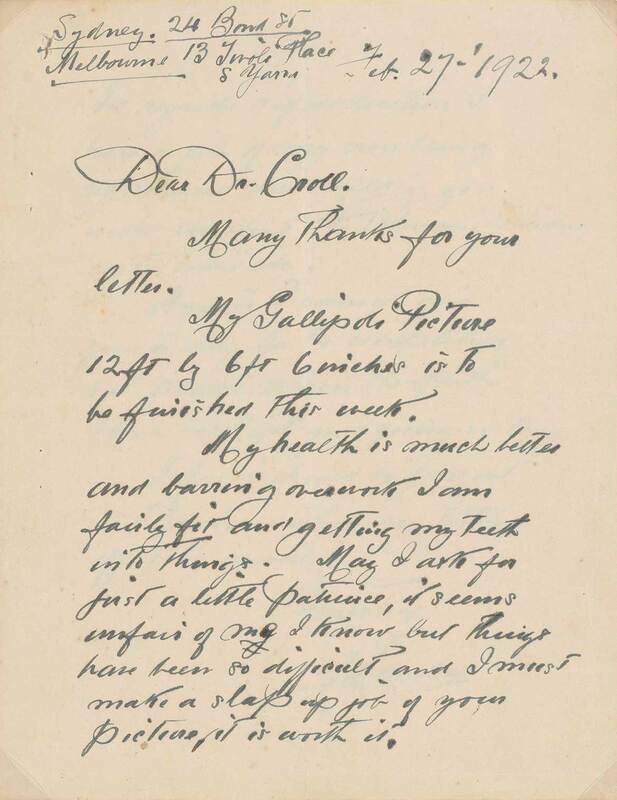 Upon his return to Australia Dr. Croll resumed his medical practice in Sherwood and was in correspondence with George Lambert on behalf of the 2nd Light Horse Field Ambulance for the commission of Walk (An incident at Romani). 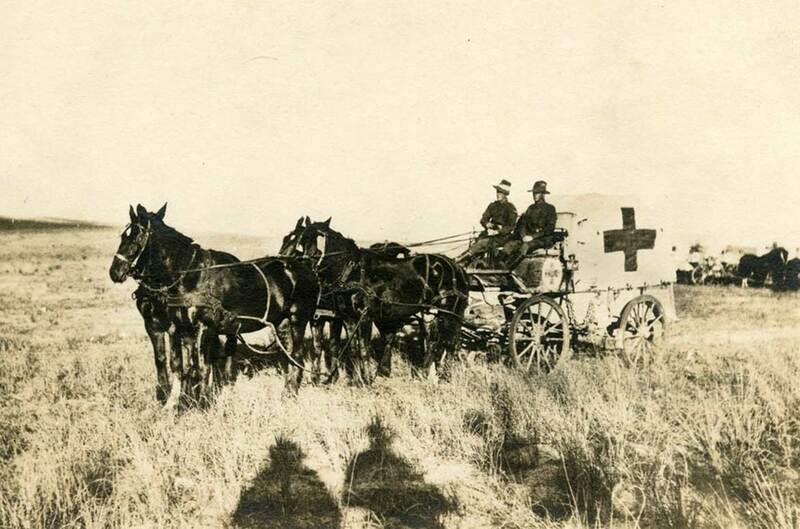 The core of the 2nd Light Horse Field Ambulance was formed in Brisbane.